I love magazines. "Garden & Gun" is my overall favorite. Despite the "What Kind Of Redneck Magazine Is This?" name, it has wonderful articles, great resources and some inspired design ideas and options. 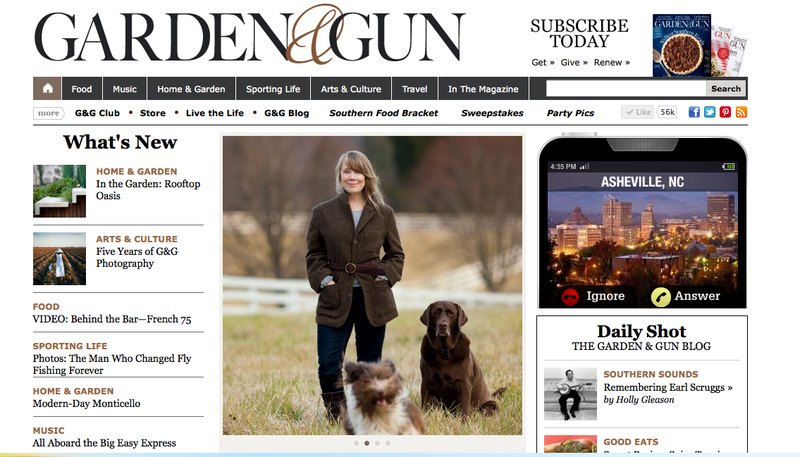 Where else can you find the best resources for all things Southern and sensible? 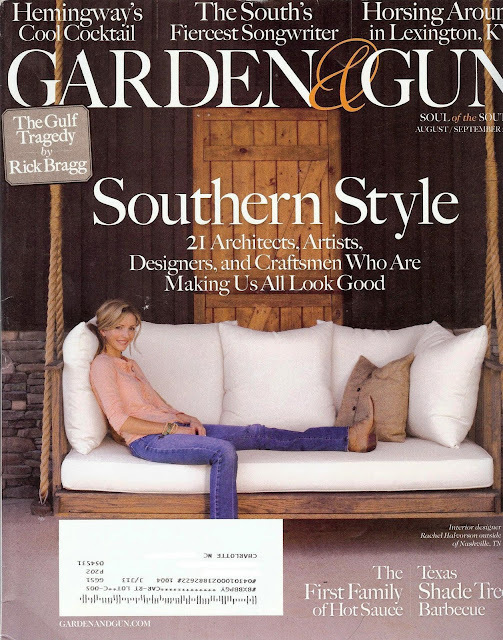 My favorite cover, this issue is safely tucked away so that when I do the next house, I will have one of these porch swings on the covered porch. Count on it. The website is amazingly well done. Simple, easy to navigate and completely addictive. My favorite feature is the annual "Made In The South Winners". 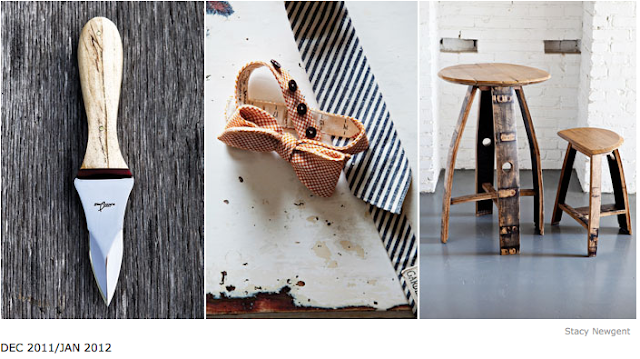 Where else can you find the absolutely best handmade oyster knife and bow tie in the same article? Really! This year's winners prove that the best things made are made in Dixie. Earlier this year we asked Southern designers and craftsmen to enter our second annual Made in the South Awards in one of four categories: Sporting, Home, Fashion, and Food. We received hundreds of entries and enlisted a panel of expert judges to choose the final winners. Overall Winner: Williams Knife Co.
G&G Video with Chris Williams of Williams Knife Co.